'Atithi Devo Bhava', which means that a guest is equivalent to God, is one of India's most ancient maxims. A country like India welcomes all its guests with an open heart and warm embrace. The country and the people here know how to take care of their guests with warm hospitality, pleasure and luxury. From snow-capped peaks to lush green valleys, stunning landscapes to verdant forests, exotic wildlife to royal cities, magnificent historical sites to brimming bazaars, ancient forts to magnificent palaces, architecturally rich temples to beautiful mosques, India has so much to offer to its visitors. A trip to India is sure to mesmerise your soul and give you an experience like never before. 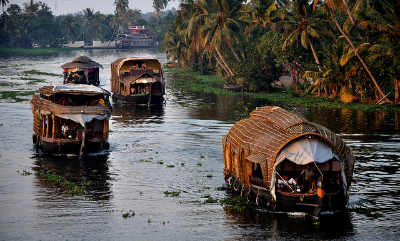 A kaleidoscope of culture, traditions and geographies, India speaks for itself as a soul-stirring journey. It is a land of unmatched beauty, limitless hospitality and rich cultural heritage. Situated in South Asia, India can be broadly categorised as Northern India, Southern India, Western India, Eastern India and North-Eastern India. A trip to India lets you explore the overwhelmingly beautiful Himalayan ranges in Northern India, serene backwaters in Southern India, royal palaces and forts in Western India, ancient cities in Eastern India and the famous tea gardens in North-Eastern India. India offers great opportunities for nature sightseeing, honeymoon vacations, adventure holidays, wildlife tours, beach tours, hill station tours, cultural tours, heritage tours, pilgrimage tours, festival tours, etc. In order to truly explore India with its cultural heritage, deserts, mountains, valleys, rivers, waterfalls, forests, wildlife sanctuaries, temples, forts, palaces and much more, careful planning and well thought out itinerary is a must. Intersight Tours is a renowned tours and travel company based in Kerala working towards showcasing the authentic and true picture of India to its visitors. Our team of travel experts works round the clock to ensure that you experience hassle-free travel and derive maximum satisfaction from your holidays. We understand every individual is different and therefore we design tailor-made itineraries suiting your specific preferences and budget. Once you come to us, you do not have to worry about anything, right from your holiday planning to booking your tickets, making arrangements for sightseeing and accommodation, everything will be taken care of by us. We arrange for your transfers and provide you with facilities like an English speaking guide, chauffeur-driven car, etc. for your convenience. We promise to offer you a holiday experience worth cherishing for a lifetime. Call us now to book your India holiday tour!